Why Your Website Needs Customer Testimonials & How To Use Them! Why Your Website Needs Customer Testimonials – Plus How To Get & Use Them! One of the most powerful social proofs you can have today (and actually for a long time to come) are customer testimonials. Back before 2010, not many companies utilised testimonials and the ones that just threw up a generic customer statement of ‘Buy this product, it is great!’ kinda worked, but today, the stakes are higher and almost every business are starting to incorporate testimonials into their website and landing pages. However, almost 90% of the testimonials, don’t really meet the mark and just won’t get the job done today, some even damage the reputation of the business without the marketers even knowing! 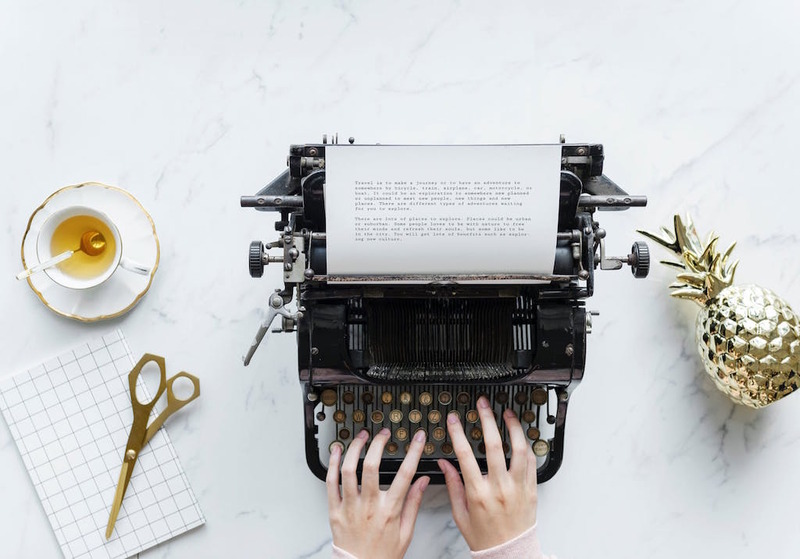 That’s why we came up with this guide to help you write the best testimonial possible to help position your business to convert better and to sell more. 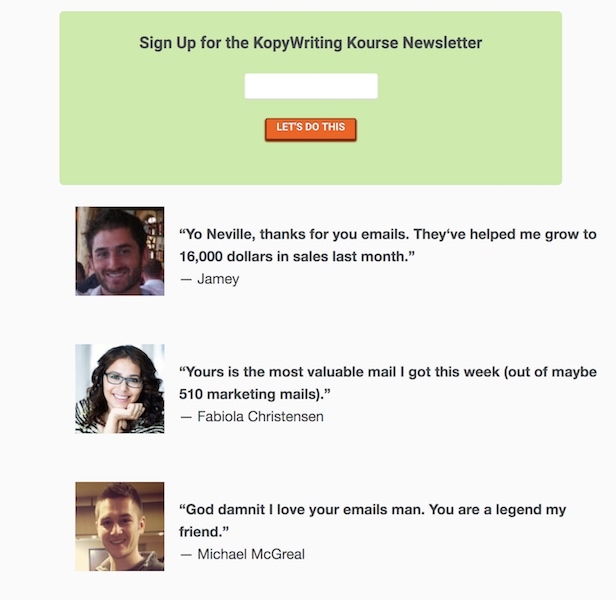 So How Effective Can Well-Written Testimonials Be? Now while testimonials are great at helping you sell your products and services, their usefulness doesn’t just stop there. There are mediocre testimonials and there are great testimonials and not really much in-between actually. Let’s say we are selling a fitness multi-gym machine. You might be thinking to yourself, isn’t this a good testimonial? It sounds like a glowing review! Suddenly, the second testimonial sounds much better by leaps and bounds doesn’t it? And it’s easy to understand why. The situation the customer was facing before using the multi-gym (20kg overweight). The challenge the customer was facing trying to solve his weight loss situation, the lack of time to exercise outside. The big benefit of losing weight and the tangible result of going down a pants size. Every great testimonial follows a very systematic approach and structure. Think of it as a story. You are to guide your reader through a journey of what it was like before using your product, the process of using it and how it can immediately benefit them. 1) Showcasing the customer’s problems and challenges before using your solution. 2) How they found your product and why they decided on it. 4) The big tangible benefit that results from using it. 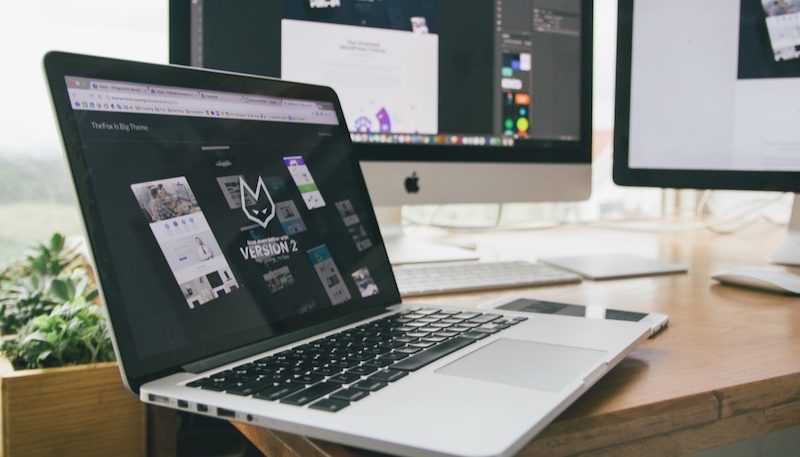 While hitting 4 to 5 of the above points would be ideal, just two to three of these points in your testimonials would also be highly effective especially if you decide to opt for multiple shorter versions in your website. AWeber, an email marketing service provider uses a mixture of longer testimonials and shorter testimonials to highlights just how effective their product is. 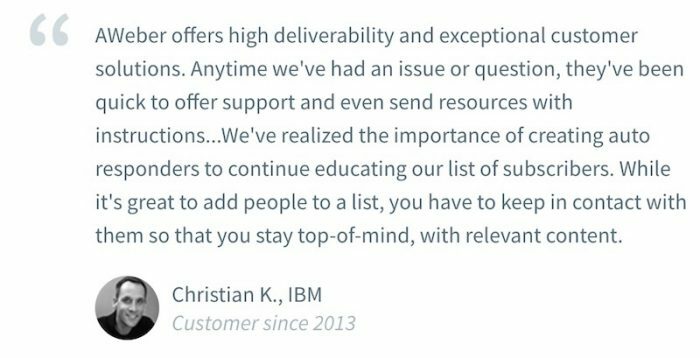 The above is a terrific testimonial from IBM, this testimonial clearly highlights the 3 aspects AWeber is known for: High deliverability, exceptional customer solutions and customer support. The key in that testimonial is its specificity and the tangible results the customer has gained, the importance of creating auto-responders, from AWeber’s fantastic customer support. Sometimes it is better to focus on a key feature that you know your competitors just don’t have. AWeber cleverly utilises the second testimonial to show they are different from the other solutions in the market and plays it up to their advantage. Most sales and marketing teams in companies don’t really focus their efforts on pro-actively getting testimonials, they wait for their customers to voluntarily step forward and type something nice. That brings a very big problem, you can’t control the quality and the topic of the testimonial. Now that isn’t to say you instruct your customer to write what you want to hear…but you need to guide them through a discovery process to extract out what they really feel about your solution and what made them buy. A) What were the challenges or concerns you had before buying my product? B) What was the main benefit that you enjoyed and how did it specifically help you? C) Which feature of the product or service did you enjoy the most? D) What made you choose this product over the other competitors in the market? E) Would you recommend this product and why? Now, these are just general questions and it is really up to you to customize them to your industry, market and customer type. 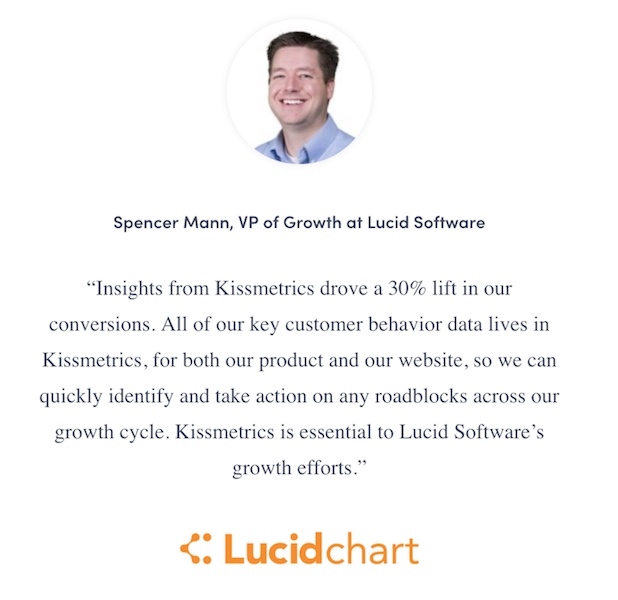 – How was your conversion rate and previous sales numbers before we started on the project? – By how much of a sales increase has your business enjoyed after you launched your campaign with the new sales copy? And now that you have created the list of questions, there are two main ways to reach your customers about it. The first is the good old fashion phone call. Nothing beats a personal call or writing a personal email to each customer asking for a few minutes of their time to answer some questions. If that is not feasible or you have too many customers and are short of time, you can mass email a survey to your database (check out SurveyMonkey, Polldaddy etc). If you decide to go through this method, you might need to follow up on your emails either manually or through an autoresponder email series to maximise your replies. 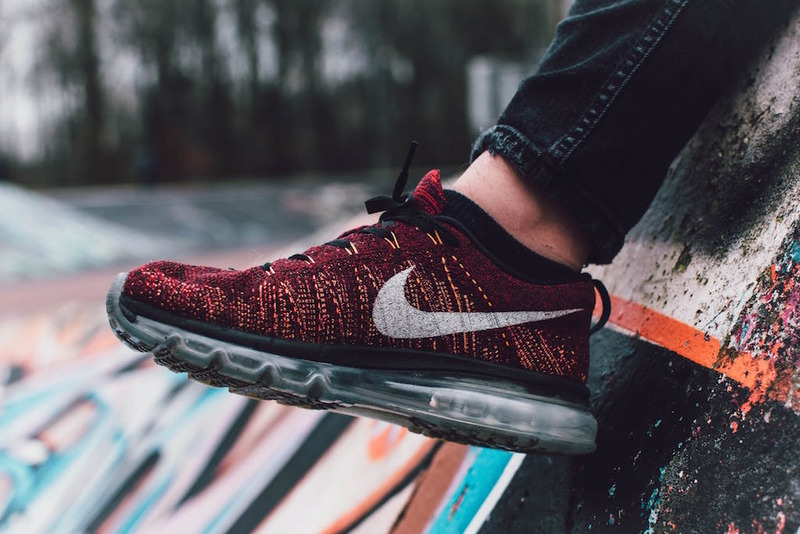 The journey doesn’t stop once you have gotten the testimonials, if you want it to really impact your business then you will have to know how to use them well. Step 1: Beautify & Dress The Testimonial Up. A professional looking testimonial is an effective testimonial that can be trusted. 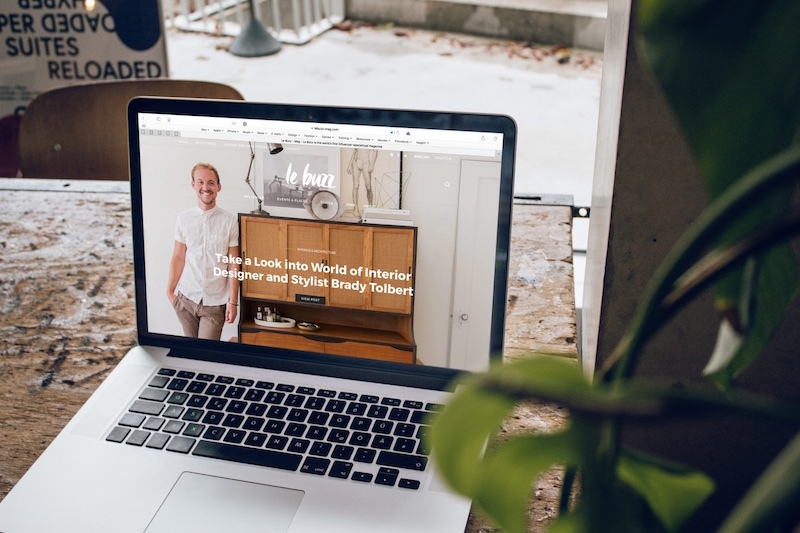 Take the time to design around it and ensure it fits the theme and feel of your website. Step 2: Add In The Customer’s Details. While this might sound rather straightforward, quite a few marketers do leave it out. 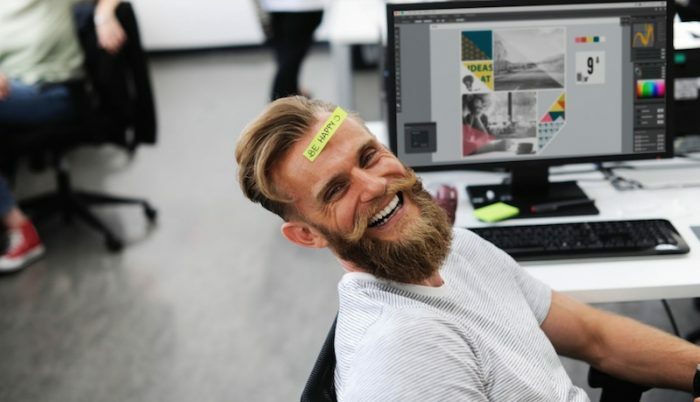 Remember to include in essential details such as the person’s job title, his company name, his own name and ideally a photograph (with him smiling of course). Step 3: Use Testimonials To Justify Features Or Address Potential Objections. You probably know the ins and outs of your product and your customer most likely knows what he wants. Our duty as marketers is to position our testimonials to reinforce the benefits & features of our products through the experience of our previous happy customers. Does your industry have a poor reputation for customer service? – Include in a glowing testimonial from a customer about how your company breaks that trend! Do most of your competitors take a week to deliver and install their product? – Be sure to throw in a customer testimonial mentioning how your company got them up and running in just 3 days! 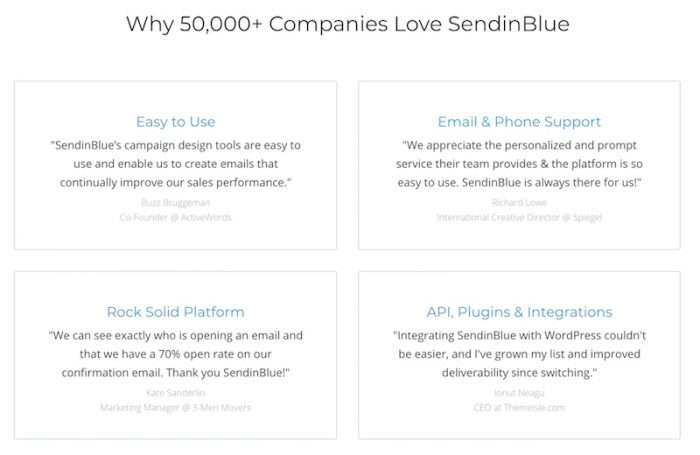 SendInBlue wonderfully tailors their testimonials to address the four biggest potential questions about their service – the ease of use, the quality of customer support, the platform reliability and if plugins are available. While we absolutely love the traditionally written testimonial, video testimonials are rising in popularity helping to breathe new life into the world of social proof. 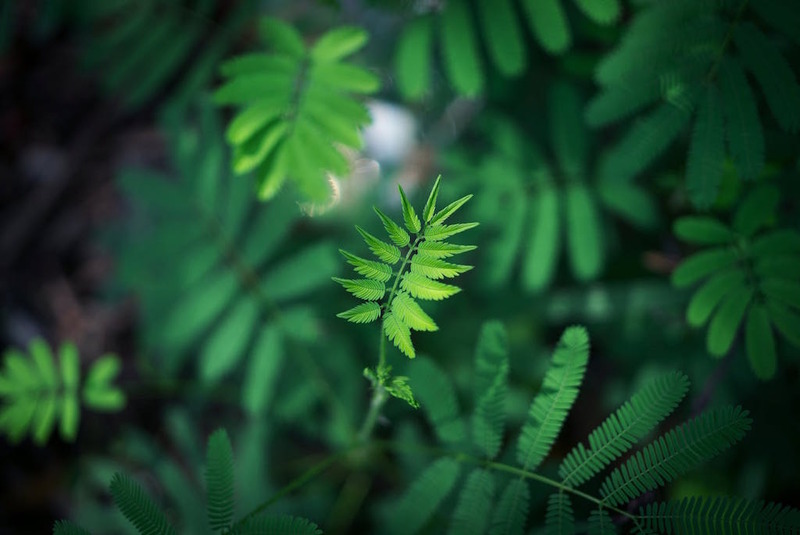 Take the Vendhq’s video testimonial below that combines a few customer experiences and stories into one slick video. Not only does this allow for great storytelling, a testimonial video with a high production quality will also better help capture your viewer’s attention. 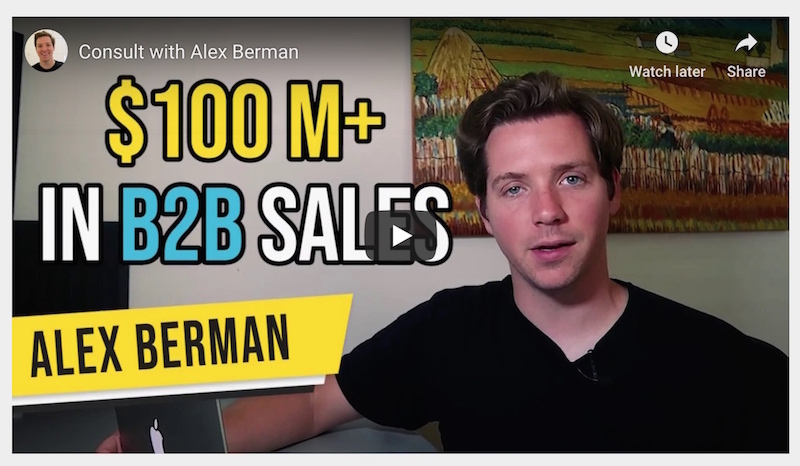 If you have the budget, definitely opt for a well-produced video testimonial that can not only be placed on your website but is great ammunition for future marketing use on Youtube, Facebook and even email marketing. Dressing up the video testimonial is also important. Woodpecker.co does this well by adding a video cover image that has a clear one-liner about the testimonial the viewer will experience once they click play. This helps to add important context and most people love a preview of what they are about to see. Many designers and marketers have mastered the art of incredible user experience and some have fantastic copy that clearly states the benefits and features of their products, but few have really paid attention to their testimonials. By just spending some time on this portion of your website, you will not only reap higher conversions but also get more qualified clients. The type of client that will pay more and buy more!